Since the early seventies this off-white, 50% cotton paper has been considered one the best student printmaking sheets available. Of course in the last 40 years many new papers have been introduced by Legion that have somewhat overshadowed this sheet but have not tarnished its popularity nor its application for a variety of mediums. The blend of sulphite and cotton gives the sheet good internal strength to withstand the plate pressure from a handpress. 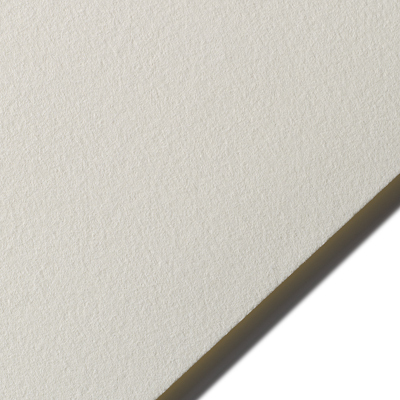 The paper has a subtle two-sidedness (smooth on one side and a slight vellum finish on the other) which lends itself to so many drawing applications - whether it be graphite, colored pencil, charcoal or pastel the paper's surface characteristics enhance the art. The stock size of 26 x 40 and the 175gsm weight make it a favorite choice for limited edition bookwork and journals. The paper although lightweight has also been successful for offset printing (being internally and externally sized) and fairs as well for silkscreen.